Exotic car racing in Las Vegas is once in a lifetime opportunity! Renting a classic car in Vegas will make a perfect gift for your husband or boyfriend. Before renting a car for a drive or for a tour, you will get a though training by professional driving instructors on how to get the most out of your exotic car and help you make up your mind about which car to drive. Best Seller! This is one of the most popular among exotic car racing Las Vegas tours. Select your favorite among these 9 gorgeous luxury cars and race 5 to 8 laps at full gear around the race track at Las Vegas Motor Speedway. Men will love this race car driving experience, and it would make a perfect gift for celebrating a birthday in Las Vegas! Not only will you get behind the wheel of your chosen sports car for a drive, you will have the time to explore other cars, sit inside and take pictures you can show off to your friends. This exotic car Las Vegas racing experience also includes a professional instruction and 2 laps in a Porsche Cayenne GTS to practice before the actual tour. You don't need to be a professional race car driver to rent a race car for a couple of hours at Exotic Racing Las Vegas! 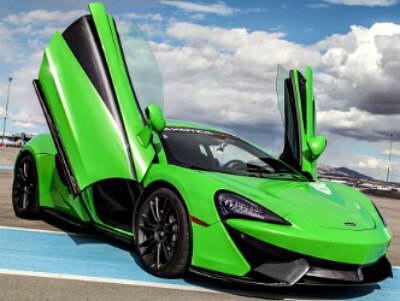 This is a prime company offering exotic car racing Las Vegas tours with a fleet of around 30 models of sports cars, all equipped with paddle shifters - so a driver with any skill level could easily change the gears. Exotic Racing own a private race track, located at Las Vegas Motor Speedway, minutes away from the Strip. They offer 1 on 1 coaching with a professional race car driving instructor who will show how to push the car made for racing to the limits! Want to feel like a NASCAR star? Head over to Las Vegas Motor Speedway for a ride-along experience in a real race car! And experienced race car driver will give you the ride of your life - three laps around the Motor Speedway at speeds forbidden on the highways! Or better yet, opt in for the Rookie Experience - after a brief orientation, you will get behind the wheel of a real V-8 NASCAR stock car and drive the entire 8 laps around a race track! Although I must say that the allowed speed is limited to 135 mph, but hey, you are here for some fun exotic car Las Vegas racing experience, not to win the race, right? The Richard Petty King's Experience offers you the unique opportunity of driving a NASCAR racing car on a race track. Try your hand at driving a 600 horsepower car at the legendary Las Vegas Motor Speedway in two thrilling sessions. You will be provided with orientation, driving instructions, safety and mechanical instructions to ensure your experience is safe but enjoyable. Once you are on the track you will get to drive eight laps and get professional feedback from an instructor. To complete your racing tour you will also receive a certificate as well as lap-time sheet and a photograph of you with a NASCAR racing car. Forget the rental Ferrari’s and Lamborghini’s! This Las Vegas racing experience will give you an adrenaline rush like no other. 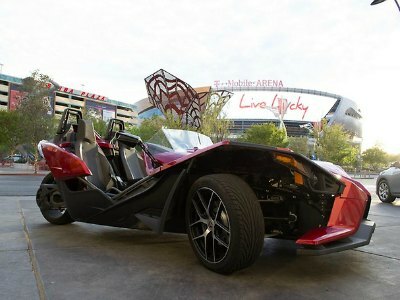 The vehicle you will drive is a Polaris Slingshot SL – a street legal souped-up go-kart in a fiery red color with open top and huge wheels. It is easy to drive and safe and also has a storage space to hold your bags and backpacks as you set off on a trip. You can enjoy a fabulous ride down into the Red Rock National Park, Valley of Fire or along the Colorado River. A guide will brief you and make sure you know what to do. You can even choose to drive along the famous Strip with your selection of Bluetooth music blasting from the sound system. Then, hit the open road and explore the stunning countryside around Vegas. Ideal for couples or groups when you rent more than one! You must be over 21, hold a valid drivers license and know how to operate a manual transmission car. Slingshots are available 24/7. 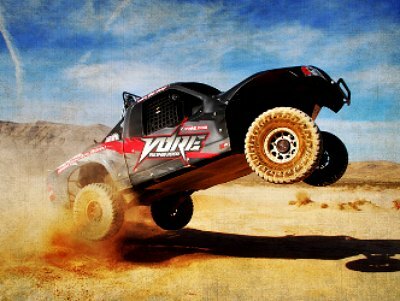 Experience the excitement of an off-road desert Las Vegas racing tour in a custom-built truck "VORE" ("Vegas Off Road Experience") designed especially for this type of extreme racing. Feel the power of the extra horsepower and smooth ride of the advanced suspension as you race across desert landscape. You will need to provide your own transportation to Primm where your high-speed off-road adventure will start. You will experience a Pro2 short course that includes all the attractions like drifting sections, jumps and racing through the Mojave Desert. Feel the dust in your throat as you complete your first lap in this exciting racing environment. There are several packages you can choose from to feel the adrenaline of desert off-road racing. Las Vegas racing tours by VORE range from two to four hours and could include a full five or ten laps or perhaps a mixture of track and desert driving. Professional instructors are on site and drivers must be 21-years of age and provide a security deposit. Passengers over the age of 14-years are allowed. When you want the experience of driving a dream car triple digits down a straight away then you need to try the American Muscle Car Driving Experience. You will be taken to a 100-acre racing complex where you can experience the thrill and adrenaline of driving two of the fastest cars ever made. 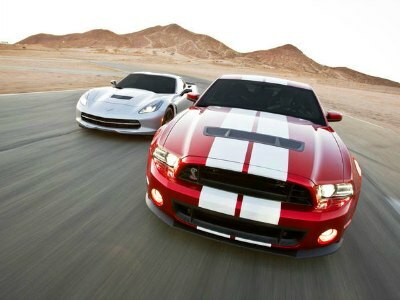 Once at the complex you will meet with an expert driver who will give you the keys to a Corvette Z06 and a Shelby GT 500 Mustang. After a brief safety lesson you will put on your helmet and take each one of these cars for five laps around the 1.5-mile speedway. The Corvette Z06 will amaze you around the turns with race-grade aerodynamics and the Shelby GT is simply the greatest muscle car ever made. You will reach speeds of triple digit down the straight away and maneuver numerous turns while your friends or family watch from one of the observation decks. This excursion is very flexible with many departure times throughout the day and there is complimentary hotel pick-up/drop-off service from select hotels on the Strip. When you want to feel like a high-roller and experience the thrill of driving three incredible sport cars through a beautiful natural landscape then you should try the Exotic Driving Experience at Lake Mead. During your 30-mile exotic car racing in Las Vegas you will get a chance to drive a series of exotic cars which could include a Lamborghini, an Aston Martin, a Ferrari or a selection of other amazing sport cars which you will see at the Exotic Driving Experience Showroom. After learning more about safety and the rules you will set out on your journey that will take you through the winding canyon roads and dessert straightaways within Lake Mead National Recreation Area. Your adventure includes switching from one car to another allowing you the experience of driving not just one but three exotic sport cars that will have your adrenaline rising to new levels each time you press your foot on the gas pedal. This tour is very flexible with many departure times throughout the day making the experience easy to fit into anyone’s schedule. 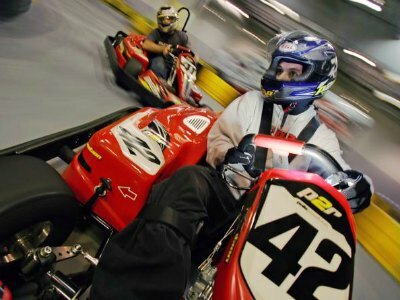 Fast Lap Indoor Kart Racing allows drivers to race real gas powered karts that could reach speeds of up to 45mph! If you have need for speed then the Pole Position Raceway is perfect to satisfy your craving. Whether you are an expert or novice driver, you will get a kick out of this Las Vegas racing tour. You will feel the track as you make your turns and approach speeds of 45 mph on these state-of-the-art karts. 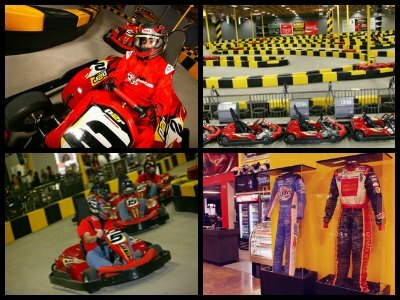 Pole Position Raceway is 60,000 square feet of adrenaline and fun that is outlined on a European-style race track. Many famous people have raced here including George Lucas, Kyle Busch and Jeremy McGrath. The eco-friendly electric karts are powerful and can reach speeds of 45 mph with spectacular handling capabilities. The facility is open every day from 11:00 a.m. to 11:00 p.m. and includes an arcade and party spaces. There are height as well as age restrictions.